At what point do urban interventions designed to protect the public shift to stifling their freedoms? How do hostile urban interventions enable repressive regimes to control the public? A new show at the Storefront for Art and Architecture and an accompanying walking tour through Lower Manhattan look to put the physical artifacts of tyranny on display. From March 28 through May 4, State of Tyranny will expand on Theo Deutinger’s book, Handbook of Tyranny. The exhibition will explore the design of tyranny through seven categories, from walls and surveillance cameras, to hostile architecture meant to dissuade public gatherings, to less tangible means of controlling the flow of people and information, such as passports. The shaping of public gathering spaces by big government or well-moneyed corporate interests to head off public protests and dissent is a well-known tactic that State of Tyranny will examine by placing physical artifacts front and center. Videos and detailed descriptions of these objects, which seek to directly or indirectly control human behavior, will supplement and add further context to these items. The Tyranny Trail, a walking tour hosted by artists and activists, will take visitors from the Storefront’s gallery at 97 Kenmare Street all the way down to the World Trade Center Memorial. 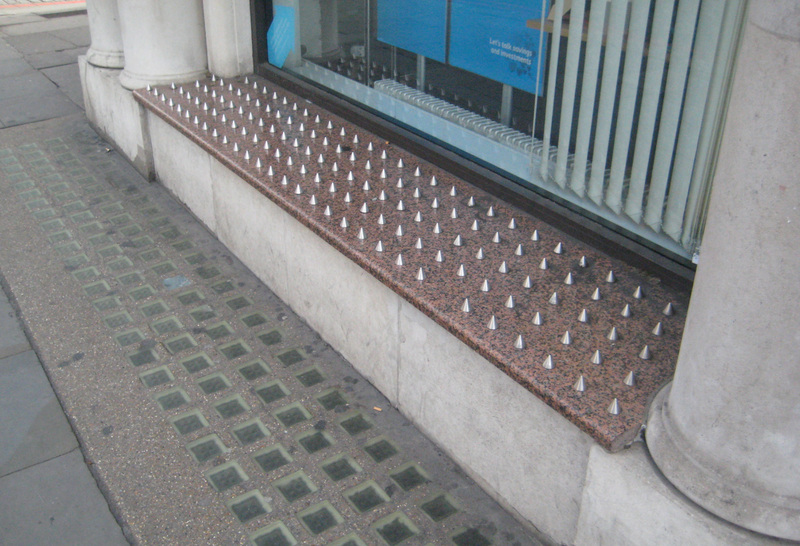 Every tour will highlight both obvious and subtle methods of control, from concrete barriers to spiked benches meant to prevent the homeless from sleeping on them. The Tyranny Trail serves to remind that many design choices nefariously seek to influence the behavior of the public. A map of the trail will also be posted at the Storefront so that visitors can explore the Tyranny Trail at their convenience.